A power of attorney is a legal document that serves as proof of a particular relationship between two parties. The principal authorizes a second person, the agent, to act on his behalf in certain ways. The power of attorney document can be very broad, authorizing access to personal records or other forms of representation, or can very narrowly specify the particular roles the agent can play. The latter is referred to as a limited power of attorney. Write a plan. Before writing the document, discuss the scope of the powers to be granted and reach an agreement with the parties. Unless drafting a general power of attorney giving the agent total authority to act on the principal's behalf, make a written list of the powers granted to the agent and other limits or conditions. Identify the parties. When writing the actual document, begin by identifying the parties. Different states have different requirements for identifying the principal, but at the very minimum, her name and address should be included. 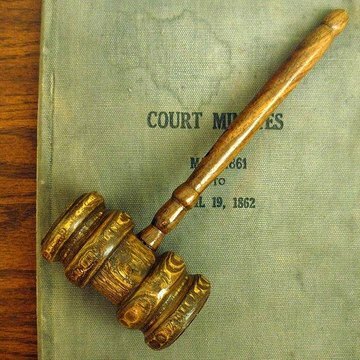 The address establishes the jurisdiction in which the document would be enforced. Other relevant information might include her social security number or tax identification number. The agent can usually be identified by name and address, though the address of her professional office or firm is usually used if one exists. Enumerate the powers. After the agent and principal are described, list the powers assigned to the agent. Describe the powers in as much detail as possible, using language that is broad enough so as not to unnecessarily bind the hands of the agent but specific enough to be construed in a limited fashion (see Resources for sample forms). Specify a time frame. If a power of attorney is intended for a limited duration, be sure to specify either a date of expiration or the conditions by which the power of attorney would be dissolved. Though it's possible to revoke the power of attorney without this language, or in a manner not contemplated by the document, it can be helpful to have an understanding about duration, if one exists, contained in the original document. Nicholson, Joseph. "How to Write a Power of Attorney." , https://legalbeagle.com/4909927-write-power-attorney.html. Accessed 21 April 2019.